The Kentucky Consular Center in Williamsburg, Kentucky, has registered and notified the winners of the DV-2005 diversity lottery. The diversity lottery was conducted under the terms of section 203(c) of the Immigration and Nationality Act and makes available *50,000 permanent resident visas annually to persons from countries with low rates of immigration to the United States. Approximately 100,000 applicants have been registered and notified and may now make an application for an immigrant visa. Since it is likely that some of the first *50,000 persons registered will not pursue their cases to visa issuance, this larger figure should insure that all DV-2005 numbers will be used during fiscal year 2005 (October 1, 2004 until September 30, 2005). Applicants registered for the DV-2005 program were selected at random from more than 9.5 million qualified entries received during the 60-day application period that ran from 12:00 AM on November 1, 2003, until midnight, December 30, 2003. The visas have been apportioned among six geographic regions, with a maximum of seven percent available to persons born in any single country. During the visa interview, principal applicants must provide proof of a high school education or its equivalent, or show two years of work experience in an occupation that requires at least two years of training or experience within the past five years. Those selected will need to act on their immigrant visa applications quickly. Applicants should follow the instructions in their notification letter and must fully complete the information requested. Registrants living legally in the United States who wish to apply for adjustment of their status must contact the Bureau of Citizenship and Immigration Services for information on the requirements and procedures. Once the total *50,000 visa numbers have been used, the program for fiscal year 2005 will end. Selected applicants who do not receive visas by September 30, 2005 will derive no further benefit from their DV-2005 registration. Similarly, spouses and children accompanying or following to join DV-2005 principal applicants are entitled to derivative diversity visa status only until September 30, 2005. Only participants in the DV-2005 program who were selected for further processing have been notified. Those who have not received notification were not selected. They may try for the upcoming DV-2014 lottery if they wish. The dates for the registration period for the DV-2006 lottery program will be widely publicized during August 2012. Enter the USA DV2021 Green Card Lottery. 55,000 Green Cards Must Go Each Year. Natives of the following countries were not eligible to participate in DV-2005: Canada, China (mainland-born, excluding Hong Kong S.A.R., and Taiwan), Colombia, Dominican Republic, El Salvador, Haiti, India, Jamaica, Mexico, Pakistan, the Philippines, Russia, South Korea, United Kingdom (except Northern Ireland) and its dependent territories, and Vietnam. Enter the US DV-2021 Green Card Lottery. Would you like to WIN a USA Diversity Visa Lottery Green Card? 1) Apply for the Green Card Lottery here on the Official USA Diversity Lottery site! 2) Receive your notification by mail if you have won the green card lottery. 3) Receive your notification that you and your families green cards have been approved. 4) You and your family receive your green cards. 5) Move to the USA with your family where you now can work and live the rest of your life or as long as you choose. Take the Green Card Lottery test to see if you qualify. If you do, apply for the DV2021 Green Card Lottery here on the Official USA Diversity Lottery web site. A few of the winners that fulfilled their American dream through our services. Read their testimony..
Would you like to obtain a US green card from the US immigration department? Have you heard that you can enter a US green card lottery application program? What is the US green card lottery application program all about? How do you complete a US green card lottery application? Read more about the green card lottery. 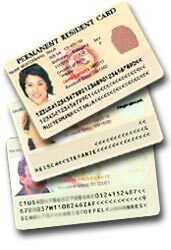 Non-European Union skilled migrants are allowed to come to Denmark (EU) under a renewable 3 years Danish Green Card for the purpose of finding work. To apply for a Danish Green Card click on Danish Green Card Program. This Green Card program is not a lottery. Your qualification solely depends on your skills. www.usadiversitylottery.com website is a private entity proudly serving you! © Copyright 2019 USA Diversity Lottery. All rights reserved.